Catholics believe that the leadership of Peter has continued down the years in the Popes, some saintly men, others certainly not – and these saints and sinners have exercised what we call the Petrine ministry. It‘s been a great scandal and a great sadness that this Petrine ministry has become a source of division for so many Christians – so much so that Pope John Paul II appealed to all Christians to help him explore how the Petrine ministry could be at service to unity….. a crucial question that we have to take seriously. We can see the damage that inter-religious feuding can wreak, looking at the painful history in our islands, but also now in the poisonous conflict between the Sunni and the Shi’ite. It is clear after Pope Francis’ recent visit to the Middle East that he, following in the footsteps of John Paul II, wants his role to be at service to unity. He surprised the world with his invitation to both the Presidents of Israel and Palestine to join him for prayer – and it was great to see how quickly they responded, joining him in prayer in the Vatican Gardens and giving people a new hope and a new dream of peace. 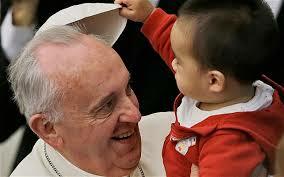 Jorge Bergoglio, Pope Francis – was never meant to be Pope. He’s a Jesuit like me, and when he took his final vows, he took private vows never to seek authority or status in the Church or within our Order – Jesuits call it ‘ambitioning’ and it’s strictly forbidden, as St Ignatius – the founder of the Jesuits saw clerical ambition as one of the main sources of corruption in the Church. In the influential Spiritual Exercises of Ignatius we are asked at one point to meditate on how power, wealth and honour can in a very subtle but deadly way to undermine our commitment to be disciples of Jesus. So Pope Francis has an inbuilt aversion to careerism in the church…… so how did he become a bishop – let alone sit on the Chair of Peter? Because as a Jesuit he has also promised a special obedience to the Pope – which took priority when first he was asked by the Pope to be a Bishop in Argentina – and then was elected Pope by his peers. I think the other key to understanding him is to understand the significance of the Spiritual Exercises. Jesuit training is called formation – it often lasts for longer than ten years, but the key experience of that formation is a 30-day silent retreat called the Spiritual Exercises. This is a programme written and honed by St Ignatius which is split into Four Parts. Each day is split into 5 hour long slots of prayer – interspersed with mass and also a daily meeting with their spiritual director. The four parts –are referred to as’ weeks’, although the Director decides how long is spent in each week – for some it can be a couple of days, for others it can be up to ten or more days. For each week there is a grace that is being prayed for and series of meditations which are leading towards that grace. To understand Pope Francis is to see someone who is profoundly marked by the grace of the first week – which is a gentle, but deep and honest assessment of life, warts and all. And when it is when we honestly look at our mistakes, at how we’ve hurt others and in spite of all of that – we are still loved unconditionally – that our life changes. It happened to me and I am sure it happened to Pope Francis. Somehow this sense of being loved in spite of all my messiness – and my sinfulness, as well as being a healing experience it unlocks a great compassion in us. And more that his simplicity and his integrity people sense a deep compassion there. And I think there is wonderful parallel with Peter there – who denied Christ three times and was forgiven three times. Both are leaders who made mistakes early on and have encountered a Risen Christ who is only compassionate. Francis is a man who knows he made many mistakes as young Jesuit – who was thrust into authority at a young age in a toxic political situation in Argentina – the Dirty War. 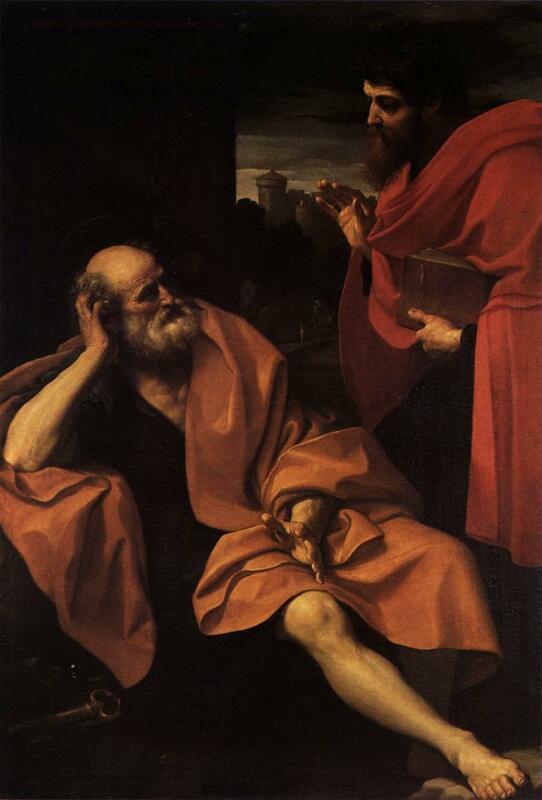 Through the spiritual exercises he has faced up to this, his mistakes, his weakness, and has experienced that like St Peter – even though he is frail, God still loves him. He often describes himself as a loved sinner – and someone who has experience of the mercy of God becomes more and more compassionate themselves. The courage to go deeply into silence – to honestly assess one’s life and to experience the love of God – as happens so often in the Spiritual Exercises – gives one great freedom – freedom from fear, and also great compassion. These graces are not instantly available – they take commitment to prayer, the courage to seek silence and the wisdom of a Spiritual Guide. In the UK there is undoubtedly a wonderful feel-good factor at the end of a horrendously wet summer. There is a big discussion about what the legacy of the summer should be. For me the big difference has been how positive the media has been. Many people have commented on how the newspapers, TV, radio and now the internet should be reflecting news not creating news. The reality is there is a complex relationship between reporting the news and commenting on the news, on reflecting opinion and forming opinion. 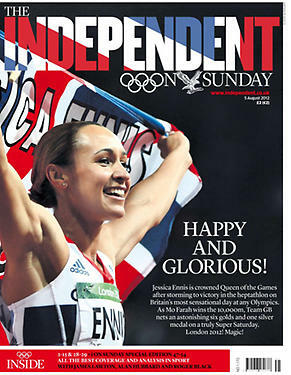 With the Jubilee and the Olympics the media ‘got on board’ and have had a huge role in the feel good factor. For once optimism and hope has replaced cynicism and for me this is the legacy of the Games. I often have though wouldn’t it be great if we could launch a mainstream, national, good news paper. Not avoiding what is happening in the world, but at least balancing the bad news with good news. There is a magazine called ‘The Week’ which gives a summary of the week’s news and how it has been reported. I enjoy reading it, but my favourite bit is a tiny section inside the front page called ‘It wasn’t all bad’ with an inspiring good news story for the week. Useful for talks, speeches or homilies! The most powerful news agent in the UK is the BBC. I am a big fan of the ‘Beeb’ , the quality of its programmes, podcasts are world-class. So when I have been abroad I often boast about the BBC. 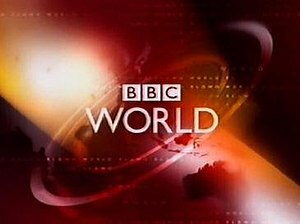 However earlier this year when I was in the Philippines, a very smart and sophisticated young man listened to me politely and then very gently pointed out to me how they consider the BBC to be anti-Christian. I was shocked but could see the arguments he made, it was interesting to see how popular Al Jazeera was becoming there. Mark Thompson, the Jesuit-educated outgoing director general of the BBC has recently admitted so. In an interview about how the BBC represents religion (click here) he said that at least in the UK, Christianity was treated as being more ‘broad shouldered’ than other religions which are much more identified with ethnic minorities. He makes a compelling point – however I think that sometimes an excellent desire for ‘tolerance’ can be distorted, and much of the liberal-elite group think that dominates the UK establishments is reflected in a prejudice against Christianity. How the news is reported and commented on is important it should try to represent the whole of the country not just metropolitan elites and their incestuous media cities. This summer the collective power of the media has played a huge role in the feel-good factor, that should be the real legacy as we head into an autumn of strikes, squabbles and X Factor! Below is a small excerpt of Mark Thompson’s interview – click here for the full length. So I am back in London having left India with a heavy heart. I seem to have stumbled into a weird collective hangover after a the 4-day holiday inspired by the Queens Jubilee. After an unforgettable farewell from the students and the community in Manvi I am mulling over the last few months. On Sunday there was a nice ‘bridge’ to coming home – I was able to show some of the children the incredible scenes on the Thames of the BBC’s live footage of the Queens flotilla. These kids from the villages were amazed at the sights and sounds coming from the UK, the colours of the boats, the Queen, the flags and the pageantry, their eyes were popping out of their heads! For me it was two very different worlds colliding, something I am now experiencing, reverse culture shock is an interesting phenomena. Being home again, surrounded by the familiar but slightly disconnected, I am enjoying a certain anonymity as I walk around, after having been stared at in many places in India and Philippines, although all of the attention was very friendly particularly from young women! I will miss that but on the whole I prefer anonymity! I hear the grass is greener in Aberystwyth….. I have been chuckling to myself as today’s news headlines includes a story about the return of traffic wardens to Aberyswyth after a year of absence. Their return has been welcomed after a year of ‘chaos’ resulting from bad parking! – Aberyswyth has nothing on Manila or Bangalore! I haven’t seen a double-yellow line for a long time and at least there are no cows wandering down the middle of the street. The temperature of 12 degrees has come as a bit of a shock after a year of above 30. Although give me the choice of 45°C and 12°C, I’ll take chilly drizzly Britain any time! Something that always makes a big impact on me whenever I return home is how green the UK is, the plus side of so much rain! Luxuriating in a warm shower for the first time in 9 months is a wonderful feeling to be savoured slowly, but I will soon be taking that for granted. It is amazing how quickly we take for granted the many luxuries that are not shared by the majority of the world. Broadband, reliable electricity, power showers, indoor carpets, it is amazing how quickly these luxuries become perceived as necessities, as the Pew Foundation recently researched. Perhaps consumerism relies on that transition, so we need to be tied into buying and replacing or upgrading various bits of tech. 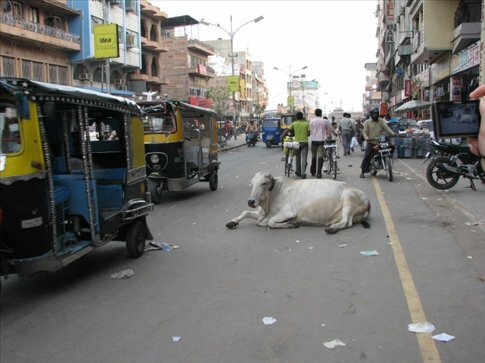 My experience over the last ten years of taking adolescents and university students to India and Africa is that reverse culture shock is a significant problem for some of them. Coupled with the dynamic idealisms of the young and the limited amount of interest shared by their friends and family about ‘their’ incredible experience, it is wise to try and prepare them for the re-entry to their own culture. We always have a ‘debriefing’ session and a day of reflection to prepare for this. 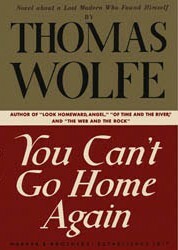 A useful resource for them is the novel You Can’t Go Home Again by Thomas Wolfe published posthumously in 1940. Although the context is different, going back to small town America during the depression, the ideas are useful for getting young people to prepare themselves. The title comes from the denouement of the novel in which Webber realises: “You can’t go back home to your family, back home to your childhood … back home to a young man’s dreams of glory and of fame … back home to places in the country, back home to the old forms and systems of things which once seemed everlasting but which are changing all the time – back home to the escapes of Time and Memory.” The phrase “you can’t go home again” has entered American speech to mean that once you have left your country town or provincial backwater city for a sophisticated metropolis you can’t return to the narrow confines of your previous way of life and, more generally, attempts to relive youthful memories will always fail. 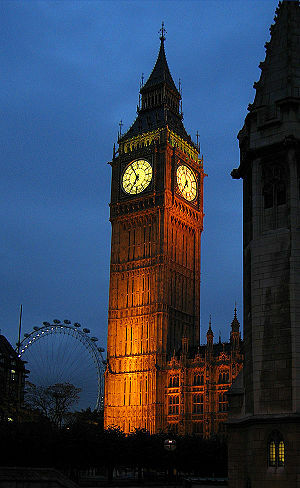 It has been suggested that the phrase is sometimes spoken to mean that you can’t return to your place of origin without being deemed a failure. I tell the youngsters You can Go home again, in fact you must go home again, but understand that you have changed. Be patient, try to understand why and when you get angry, but most importantly put into practice the things you have discovered about yourself and the world. When you are in your mid thirties the reverse culture shock is not so strong – but it is still there. So I hope my life will become more simple, my patience more robust and my compassion deeper now I am back…… a stupid and dangerous thing to write on a blog, please don’t throw it back in my face when I fail! !